DJI S800 Spreading Wings Screw Pack M3x8. 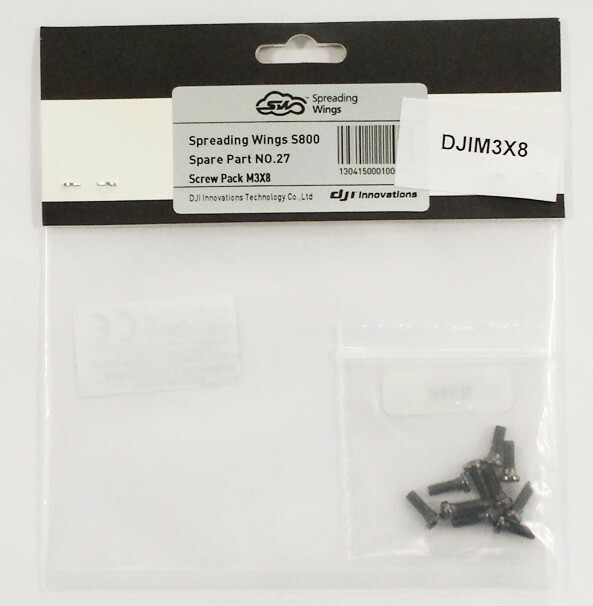 This is the DJI Innovations S800 Spreading Wings HexaCopter replacement Screw Pack M3x8 (10 screws). Please see the DJI S800 Spare Parts Manual for confirmation of parts.